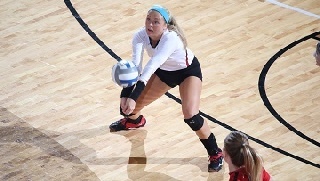 The Youngstown State volleyball team will host a spring tournament and its annual postseason banquet this weekend on campus. The Penguins will welcome six teams and a squad of YSU Alumni on Saturday for an eight-team tournament. The teams participating include Youngstown State, West Virginia, Pittsburgh, Duquesne, Robert Morris, Akron, Wheeling Jesuit and the YSU Alumni. Matches will be held in both Beeghly Center and the Stambaugh Stadium gymnasiums. Play will begin around 10 a.m., and teams will take an hour lunch break at noon. Play should resume around 1 p.m. The banquet will be held on Sunday in the Presidents Suite of Kilcawley Center. Fans are invited to celebrate the program's seniors and the accomplishments of the 2016 fall season. The doors will open at 10:30 a.m., and lunch will start at 11:15. The program, which will include a video, awards and a senior salute, will follow. The cost of the banquet is $20 per person, and student-athlete meals can be sponsored for $15. To reserve a place at the banquet or to sponsor a student-athlete's meal, please email coach Sarah Smith at slsmith11@ysu.edu by 5 p.m. on Tuesday.